“We never miss the water till…” Many homeowners’ experiences with their roofing system can be compared to that old proverb. It’s only when there is a problem that it suddenly occurs to them just how important their roof is. Say, for example, there is a leak stain on the ceiling. In such a situation, the damage is already done. 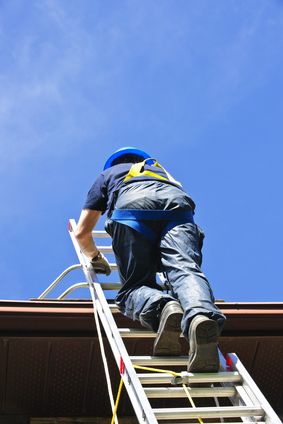 It is in your best interest to ensure that your roof is in proper working condition at all times. One way to do this is through roof inspection and repair. From time to time, we meet with a homeowner about a roof repair or smaller project, and they mention they are deciding between hiring a professional and doing the work themselves. While there are many things homeowners can and should do themselves, I believe roofing and gutters are not the place for DIY. As a homeowner, it is important to distinguish between when you can do something for yourself and when you need to call in the experts. In many cases, the damage on the roof is too extensive and requires an entire replacement simply because of procrastination. Simply being prompt about addressing your roofing issues can save you a lot of money. In an instant, heavy downpours, wind-driven storms and/or hail can rip roofs apart. All types of roofs are vulnerable to storm damage. Choosing a roofer for storm damage repair of your Savannah home is an extremely important decision. After all, not all roofing companies have the experience or equipment to respond quickly to roof repair emergencies. Keep reading to learn the credentials your roofing contractor should offer to guarantee a job well done in a pinch. If you are in need of expert services from an expert roofing contractor, look no further than Roof.net. Our company has won 12 National Awards including the Best of the Best 2016 National Award Winner. You are sure to have all your roof repair and emergency roofing services properly taken care of. We serve residential areas in Dulles VA and all areas of Northern Virginia. Call us today!